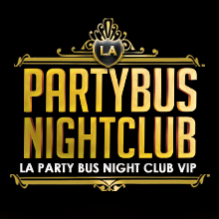 Friday, February 28th 2014 at Playhouse Nightclub features music by celebrity DJ Bobby French, spinning all your favorite club hits, top40, hip hop and house music from 10pm to 3am. Get ready for another session of Playhouse Nightclub Hollywood revamped #TheLife Fridays, located at 6506 Hollywood Blvd. in Hollywood. About Bobby French – Robert Christopher Ashour (aka “DJ Bobby French”) was born and raised in the South of France. Upon his move to Los Angeles at the tender age of 9, he quickly became infatuated with the art of turntablism and would soon be spending countless hours in his room scratching and mixing, honing his skills for a future career. French attended Emerson College in Boston, where he hosted and DJed a radio show broadcast to over 350,000 listeners.